Anyone Else Can't LOGIN To Their App? I'm locked out of using GTDnext because of the scrolling bar above. Synchronizing should happen in the background shouldn't it? 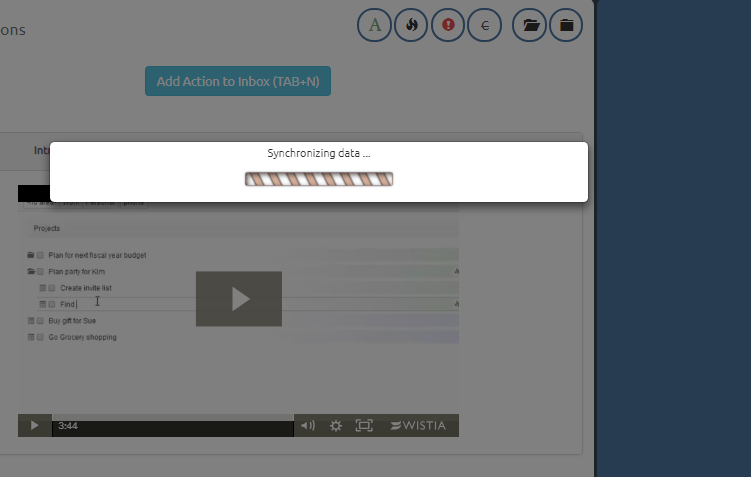 I doubt if it's actually syncing. So we don't have any other reports of this issue. We are looking into your specific account to see if we see any problems. Thanks for the report! Thanks James. It works now. Strange that its an isolated case. I tried clearing cache and one one other browser but nothing had worked. I'll keep my eye on this. I had the same problem earlier today, but now it is working again. Yeah, it was not a specific person, but was not system wide. We've fixed it. Thanks!